Jaded Blossom: Guest Designer Lorie! So above is the front of my December Documented album...the inside pages are about 6"x8" and the outside about 8 3/4"x8 3/4". 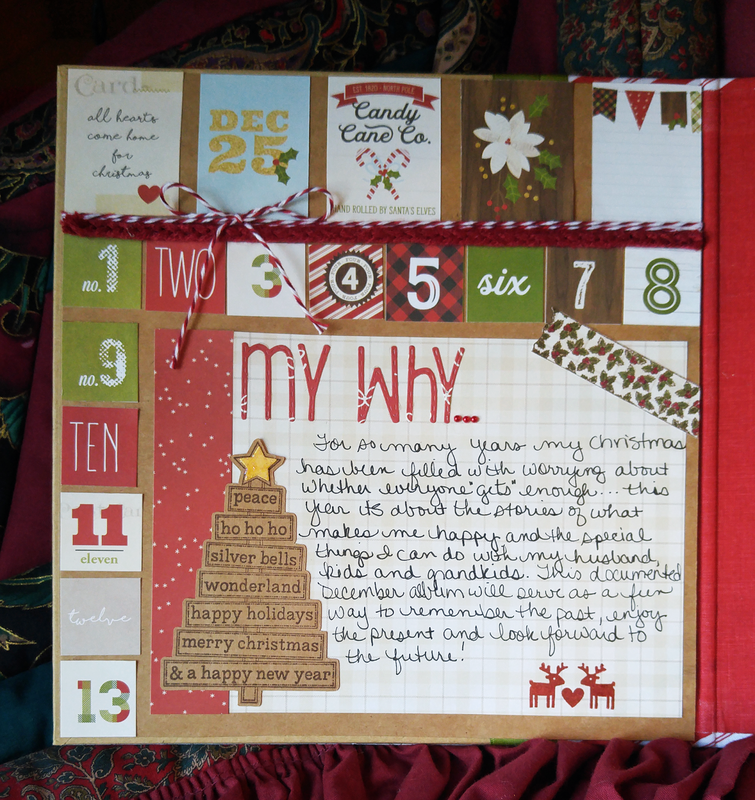 The album comes with the stripe portion on the side and I've decided to use Simple Stories Classic Christmas paper and embellishments for this project. I had fun adding my December Documented title to the flags from Flag Dies 2 and the letters/year numbers are from Jaded Blossom's Alphabet Dies. I've also used Christmas Dies for the candy cane (candy canes are my favorite Christmas candy!) and holly on each corner. Above is my 'intentions' page although I like the prompt of 'my why' better so I went with that. Again, the letters are from the Alphabet Dies and the star at the top of the tree from the Star Dies. I've used the Oh Christmas Tree Stamp and cut it out with my Brother Scan n Cut (love that thing!!). I've added a strip of washi stamped with one of the Holiday Designer Tapes set and then used the little deer/heart stamp from Holiday Sweater Mug (this was a freebie stamp in November). All of the papers are from the 6x6 Classic Christmas pad (my 12x12 pad didn't arrive on time to use it for this purpose). The sweater trim and twine I have in my stash. So, there you have it! 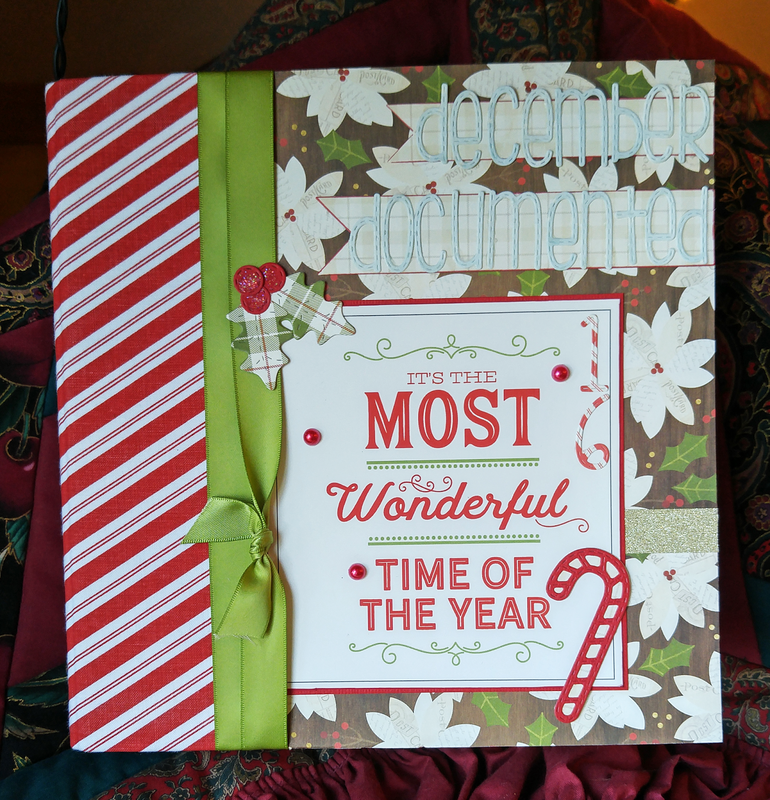 The beginning of my December Documented album using a ton of Jaded Blossom stamps! Beautiful! What a wonderful idea and such a treasure for the years to come! Wow, Lorie! This is such a great idea!! Great job so far!! Fabulous project! What a great idea!